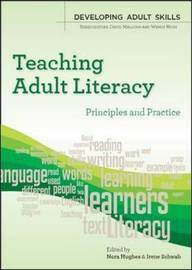 Are you teaching or training to teach literacy to adult learners? Do you want to update and deepen your practice? Yes! Then this is the essential book for you! 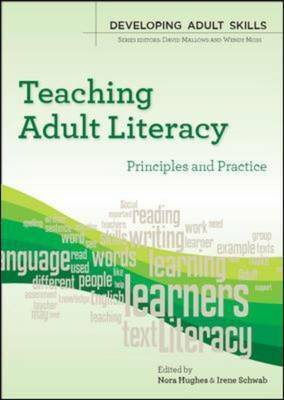 In this book, the authors offer friendly guidance on how to work with adult learners to develop their literacy skills and practices. They challenge the negative view of adult literacy learners as social 'problems', often described in terms of their deficits. They promote an alternative view of people who have rich resources and skills in many areas of their lives which they can bring to the learning process. The contributing authors have a wealth of experience as practitioners and researchers in the field. They pull together a wide range of current theory and research on adult literacy, offering new perspectives on theory and applications to everyday practice. Key features of this title include: case studies of real student experiences; samples of learners' writing with commentary and analysis; application of linguistic theory to literacy teaching; practical suggestions for teaching, planning and assessment; guidance on supporting learners with dyslexia and global learning difficulties; and, reflective tasks, encouraging readers to develop and apply their knowledge. This book is an invaluable resource for trainee teachers studying on literacy specialist courses leading to teaching qualifications, as well as for experienced practitioners wishing to update and deepen their practice. Nora Hughes teaches on the PGCE Literacy/ESOL and the MA Adult Literacy, Language and Numeracy. Irene Schwab is course leader for the PGCE Literacy/ESOL and also teaches on the MA Adult Literacy, Language and Numeracy. Both lead authors work at the Institute of Education, University of London, UK.